Fall is my favorite time of year to entertain, whether it be a cozy dinner party or a big holiday shindig. One of my favorite party tricks is to take a simple white cake and dress it up with a little DIY action to make it look super impressive without being overly fussy or costing a ton of money. 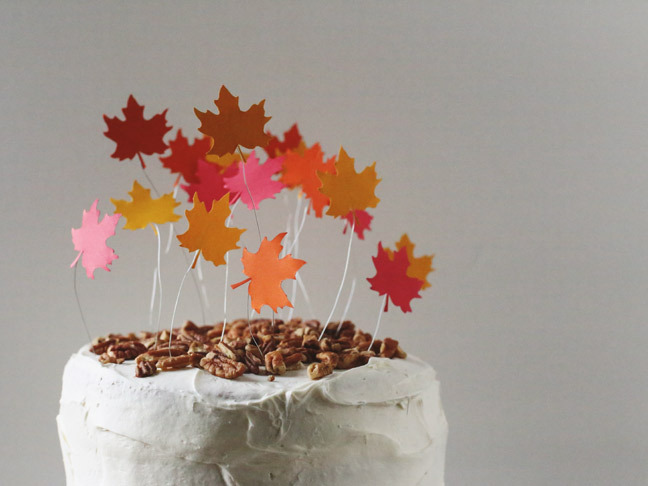 So today I’m making this pretty DIY falling leaves cake topper! Made with just a few basic supplies, it’s the perfect way to serve up a cake that will wow your friends without them ever guessing that you’re serving up what used to be a basic white cake from the grocery store bakery or from a box. Boom! Like I said. Best party trick ever. I used two box mixes for this cake and made it using (three) nine-inch round layers. For the frosting it’s just a super basic white buttercream. 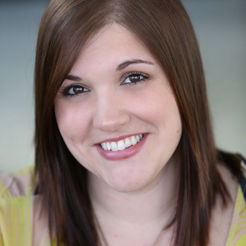 You could just as easily swing by the local bakery or grocery store and snag a white cake, or even a chocolate cake! The bottom line is, this is really simple to do and you can’t go wrong. 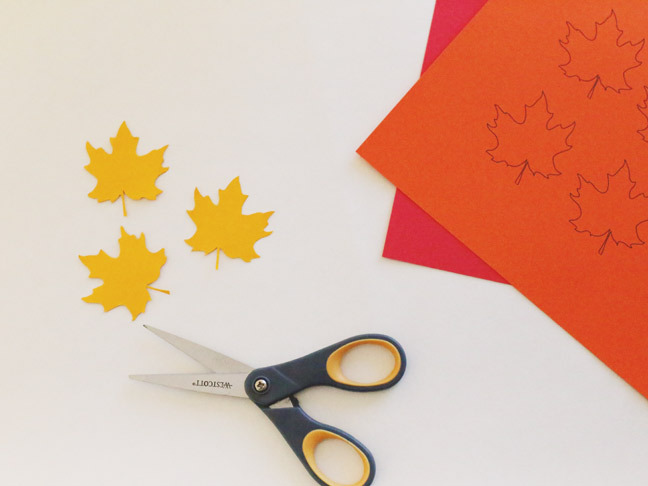 Step 1: Begin by printing the leaf template onto assorted colors of card stock. I chose golden yellow, dark orange, and red, but you can pick whichever colors you like best. 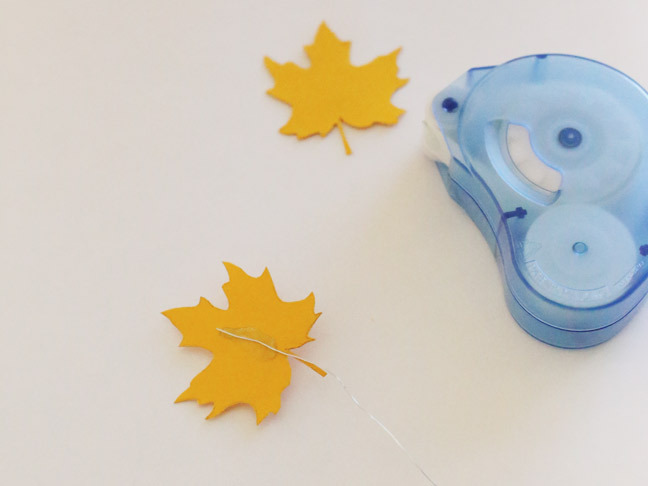 Then use a pair of small scissors to cut out your leaves. 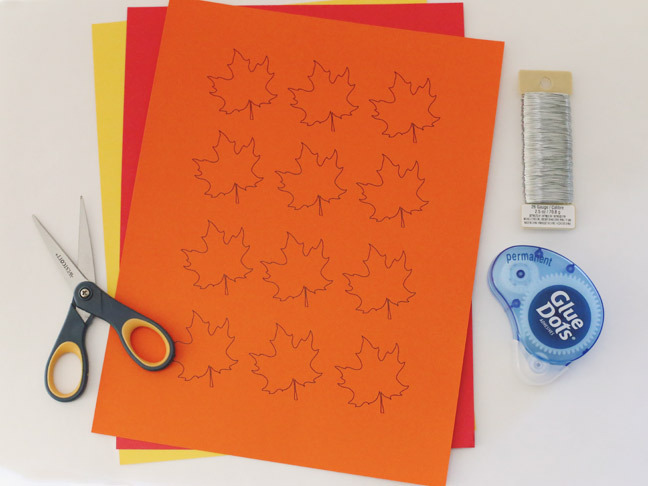 You’ll need two cut-outs (one each for front and back) for each finished leaf. Step 2: Adhere a Glue Dot to the back of each leaf. You could also use hot glue for this, but I like that Glue Dots provide a strong, permanent hold without the heat, so it’s a little less finicky while being kid friendly, too! Step 3: Cut a length of wire approximately eight inches long, and secure it to your leaf by pressing it firmly along the center of your Glue Dot or adhesive. Step 4: Place another leaf on top of the wire, pressing firmly to provide a good bond. This covers the wire and adhesive so your cake topper is pretty from both the front and back! 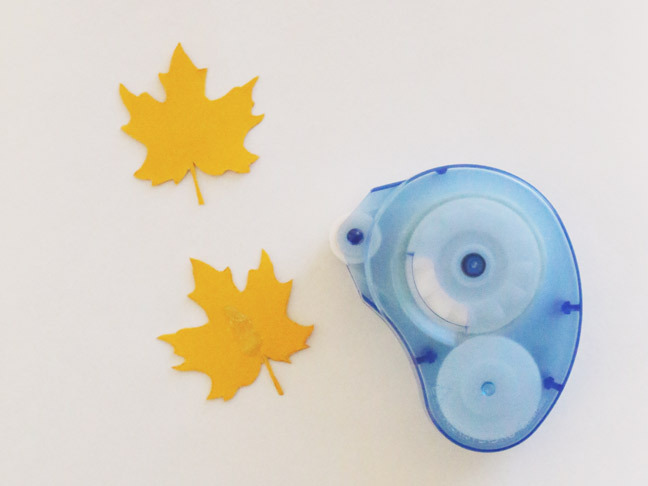 Repeat for as many leaves as you want. 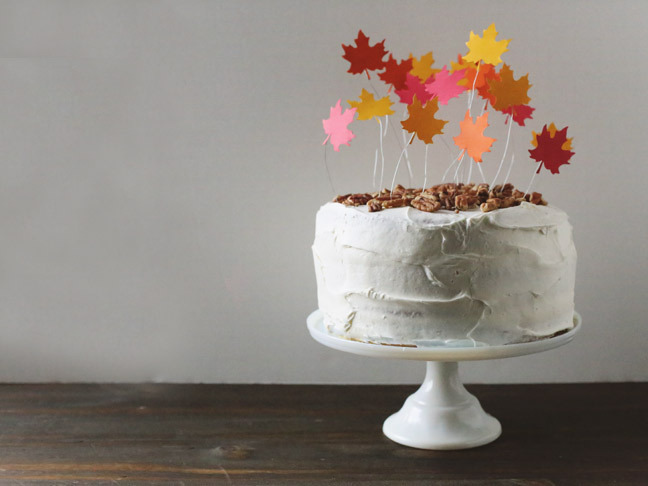 On my nine-inch round cake I used eighteen leaves. Step 5: From there all you have to do is insert the wire of each leaf into the top of your cake, varying the heights and randomly dispersing the colors. 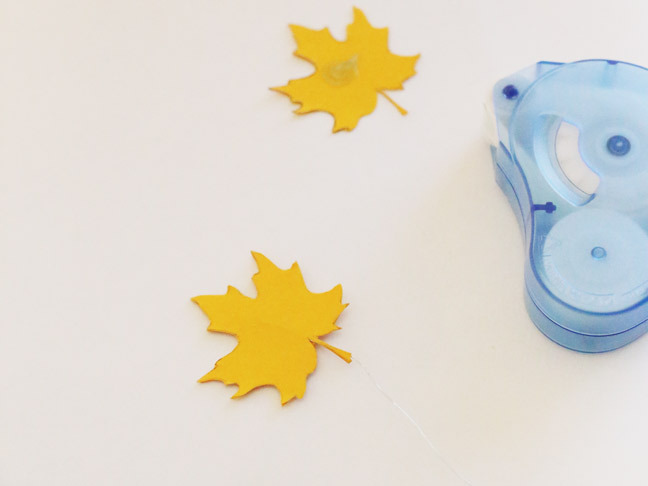 You can use your scissors to trim some of them shorter and keep others longer to give them more of a falling effect. 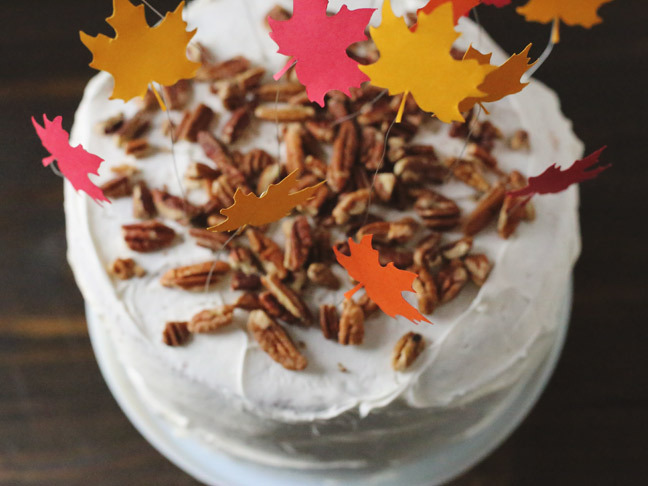 I sprinkled a large handful of pecans over the top of my cake to give it a little extra texture and make it feel especially fall-like, but you could use any nuts or toppings you love best. And that’s it!